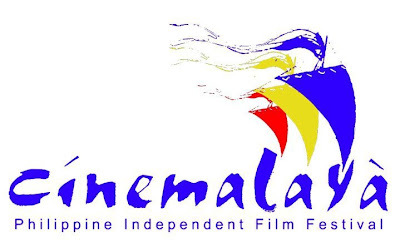 Cinemalaya Film Festival 2012 is calling for entries for the New Breed Full Length Feature and Directors Showcase categories. Deadline is on August 31, 2011. • Synopsis (1 page, not more than 300 words). • Detailed sequence treatment (between 50-60 sequences, double spaced, letter-sized bond paper,1 inch margin all around,12 points, Courier).Name(s) of Proponent(s) must not be written on any page of the synopsis and detailed sequence treatment. • Samples of previous film/video work in DVD. All entries must be submitted in a long brown envelope properly labelled with proponent’s name, title and contact details. Cinemalaya is an all-digital film competition that aims to discover, encourage, and support the cinematic works of Filipino filmmakers that boldly articulate and freely interpret the Filipino experience with fresh insight and artistic integrity. It is a project of the Cinemalaya Foundation, Inc., in partnership with the Cultural Center of the Philippines (CCP), Film Development Foundation of the Philippines (FDCP), and Econolink Investments, Inc. (EEI). Slated on July 20-29, 2012 at the Cultural Center of the Philippines, it will also feature film exhibitions, seminars, the Cinemalaya Independent Film Congress and other film-related events. Information, entry forms, mechanics and rules can be downloaded at www.culturalcenter.gov.ph and www.cinemalaya.org. For more information, call CCP Media Arts at (632) 832-1125 local 1705.